To introduce the public to the fragile beauty of the Everglades and its unique ecosystem; to honor today’s leadership in conservation and restoration through great art and compelling human stories; and to encourage the public and policy makers to participate in the protection of the Everglades. We began the Guardians of the Everglades® multi-media project with great hopes of reaching and educating a broad range of individuals in the benefits of Everglades conservation. We are very grateful for the eleven Guardians who, together, stand as role models for various ways of serving conservation. Sadly, our efforts to secure financial support to bring the project to the public through exhibitions, a documentary film and book, or even any of those, were insufficient. Thus, we have had to conclude that we must abandon the project, at least for the time being, and focus our efforts elsewhere. We welcome the opportunity to discuss with you what efforts we have made to raise funds through grants, auctions and individual donors. If you want to know more or offer other sources, please contact us. We will always be open to bringing the Guardians’ extraordinary stories, and our love of the Everglades to the public. We will be moving to Albuquerque, New Mexico, January 17. We will be living in an adobe by artist Nat Kaplan, big enough to embrace us, our cockatoo, a studio for each of us, and plenty of room for friends. If you plan to use the mails or visit us, contact us and I will send you the street address in the village of Los Ranchos, NM. Phone numbers and emails will remain the same. New Mexico is the Land of Enchantment — big sky, embracing mountains, supporting earth in soft greens and tans, clear air, multiple cultures, comfortable and familiar. We chose a home near the bosque, alongside a major acequia with walking trails through our cottonwood forest. When we first arrived at the house a covey of quail scattered through the yard, sandhill cranes rattled as they lifted off, and robins scolded from a big cottonwood. We saw a road runner, too, and each day a plethora of balloons. The magical light is eternal. From Connie: In NM, we embrace our varied cultures completely. When you come from a place whose history is as rich as New Mexico’s, as I do, you can’t deny it or hide from it. Who we are in relation to this place compels us to move forward, somewhat exposed, regardless of our personal circumstances. And that makes for some serious creative energy. 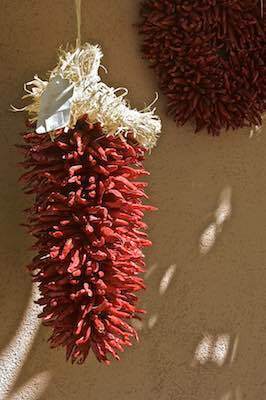 New Mexico allows — encourages — eccentricity. Aldous Huxley chose New Mexico for his maybe-not-so-fictional non-conformists in ‘Brave New World’. Yea! Nicholas “got it” first visit, years ago. We hit the ground, visited my parents’ graves, then headed straight up the tram to Sandia Crest to have a look — 100 miles west across the valley to Mt. Taylor. The Sandia Mountains are named for the watermelon color they wear reflecting the setting sun. He loves the space, the freedom, the painter’s light, and the changing seasons. This may seem sudden. It is not. For five years or more we invited friends, colleagues and strangers to visit and to help bring Guardians of the Everglades to a greater audience. We wrote dozens of grant applications, proposals, and knocked on many doors. Several stepped forward to help and we thank: Sandy Cannon-Brown, The Mamdani Foundation; Lighthawk; Puffin Foundation; Franklin Adams, Deb Jansen, Mary Barley, Lee Tiger, Ed Carlson, Nat Reed, Clyde and Niki Butcher; local newspapers, NPR, Naples Illustrated, Gulf Shore Life, and most recently and exuberantly, éBella Magazine for its Arts Edition feature of Guardians of the Everglades. There were many, many, many others who offered support, guidance and encouragement. Thank you. In my opinion, it matters not whether you “believe in” climate change or have drunk the Kool-Aid of denial. For 20 years I have seen, photographed, talked about, written about and understand that the changes are well underway all over the world, with south Florida especially vulnerable. It is not a pretty picture. We are moving from flood to drought, but we all live in the extremes. We see it coming. With great regret we leave a fractured more violent world to our children and grandchildren. To create your own legacy with a commissioned portrait of a loved one, your family, your business, or to honor a public or religious figure, please click here for information. Receive invites, photos and more! Click here to subscribe! We value your privacy and will never share your information. You can unsubscribe at any time.